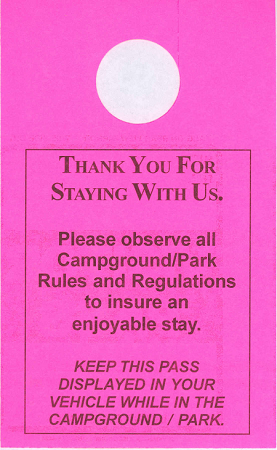 Use these High Visibility Passes to control campers in your park. 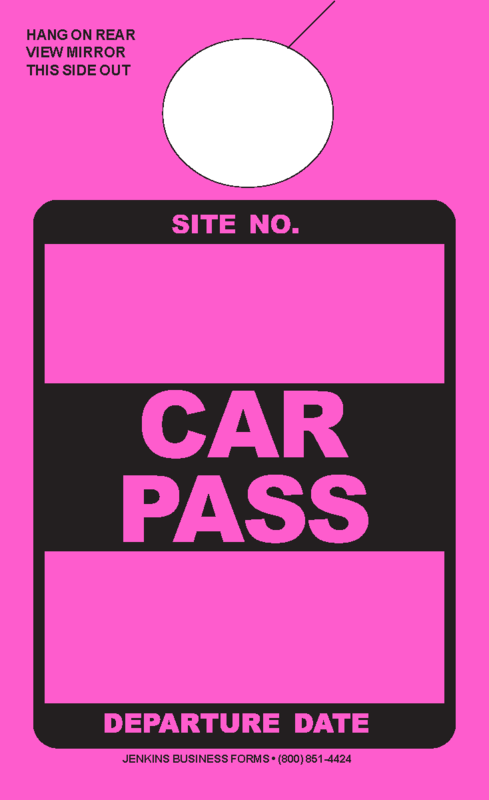 This pass hangs on your camper's rear-view mirror. Pass Size: 3-2/3" x 6"